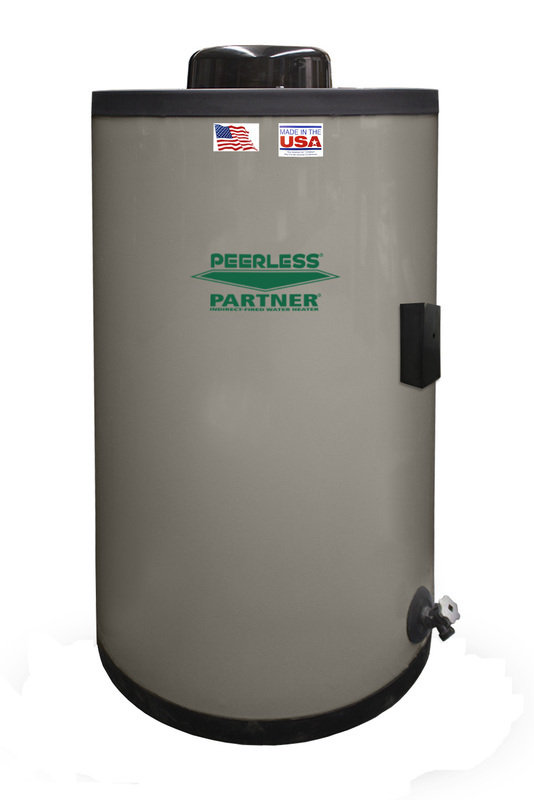 The Peerless® Partner® indirect-fired water heater is an efficient and dependable option for all domestic hot water requirements. 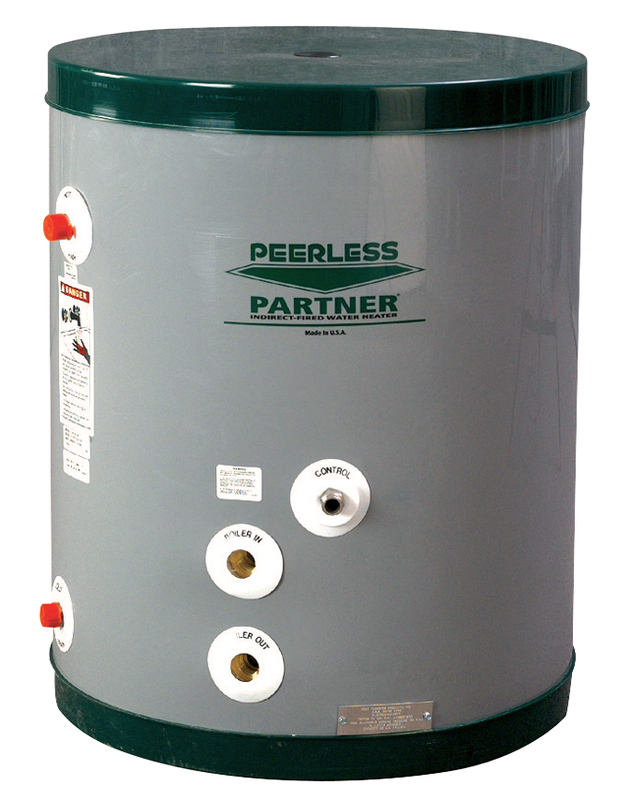 The indirect water heater utilizes a Peerless® boiler as its heat source to provide the energy necessary to heat water. The boiler fires only when energy is required to replace the heated water that is being used, or if the tank had been idle. The highly insulated tank is not vented to the outdoors and loses very little heat, even when not in use for an extended period. The water heater’s design features maximum heat transfer and resists mineral build-ups that can cause discolored and foul tasting water. 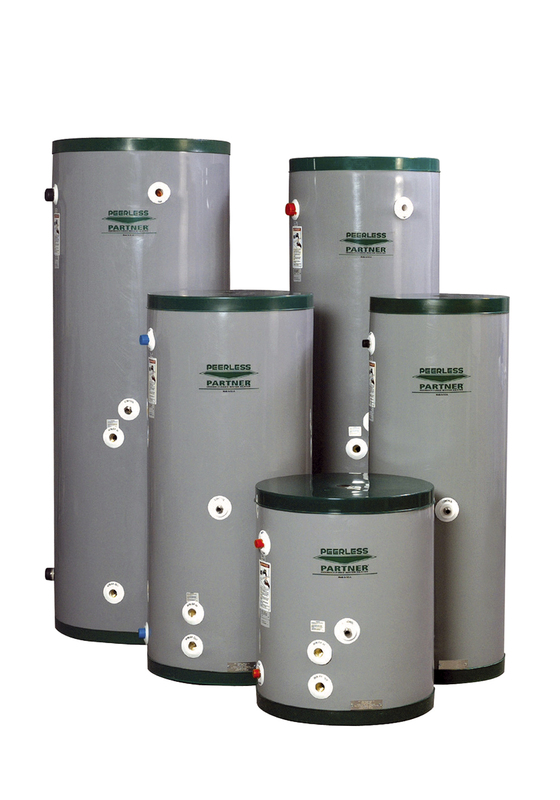 Partner® tanks are available in several sizes with storage capacities of 30 to 119 gallons to meet any application. The 30-gallon capacity Peerless® Partner® Lo-Boy is a great choice for space-limited installations! 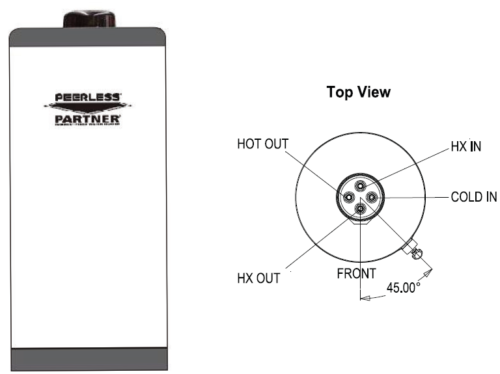 Check out our NEW Peerless® Partner® PV Tank – with a one-piece seamless design that is highly resistant to water quality variations and easy-to-operate control for extremely accurate temperature settings. Available in four sizes, the new PV tank is lightweight, durable and easy-to-install! These ratings were obtained with a heat source output and heat source flow rate as listed in the chart using the parameters of the Domestic Cold Water inlet at 58°F, Domestic Temperature Rise of 77°F and Boiler Temperature Output of 180°F. other results will be obtained under different conditions. First hour rating based on heating water from 50°F to 140°/115°F with 180°F boiler water temperature. 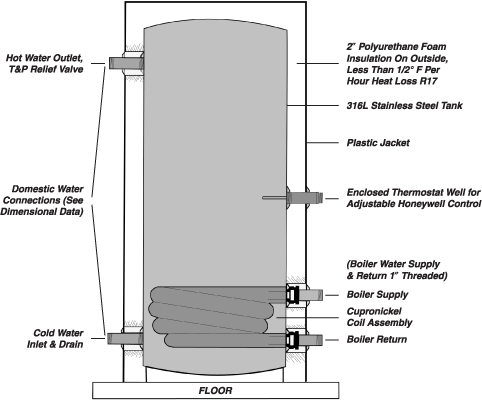 Gas- and oil-fired and electric water heater first hour ratings based on DOE test procedure using 90°F temperature rise (55°F to 145°F). Useable hot water based on recent completion of recovery period, but no additional boiler input after draw begins.